The Quadro corner or L-shape desk provides lots of work surface while making efficient use of corner spaces. This three-leg height adjustable desk with LINAK leg columns quietly adjusts from 640mm to 1280mm. The Quadro L-shape desk provides lots of work surface while making efficient use of corner spaces. This three leg height adjustable desk quietly adjusts from 640mm to 1280mm. Rail free construction with integrated cable tray, cylindrical leg columns with a lifting capacity of 80 kg per column and a 5-year manufacturers warranty. 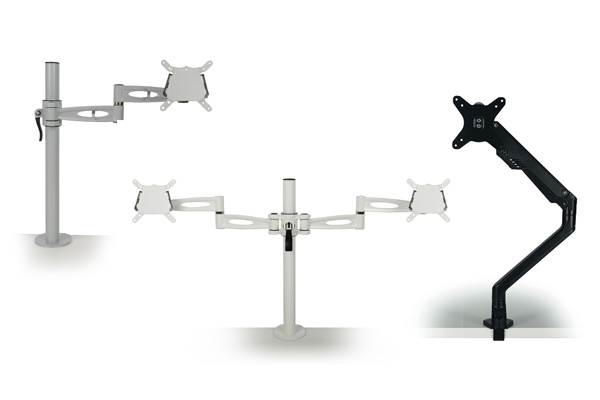 Frames available in five finish options with LINAK PIEZO collision avoidance technology. Veneer and laminate desktop options made using 23mm MDF with bevelled edges. Intuitive height controller as standard as well as memory and Bluetooth feature options that remind you to move. Desktops are available in laminate and veneer options together with several shapes: rectangular, full arch, stomach arch and side return. We spend one-third of our lives working, which means that our work environment really matters. We were made to move so let your desk help you do that. Bottoms up for a better back and healthier body! Cable management helps constrain and organise wiring. 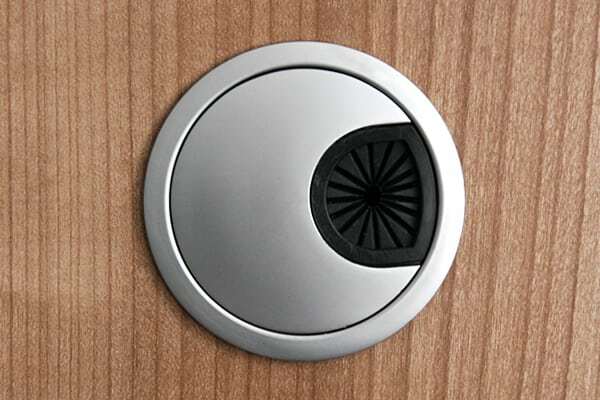 Two aluminium grommets in 60mm and 80mm options are available. Free UK mainland delivery on all orders. Desk deliveries within 30 miles of Norwich also include a free set-up service. 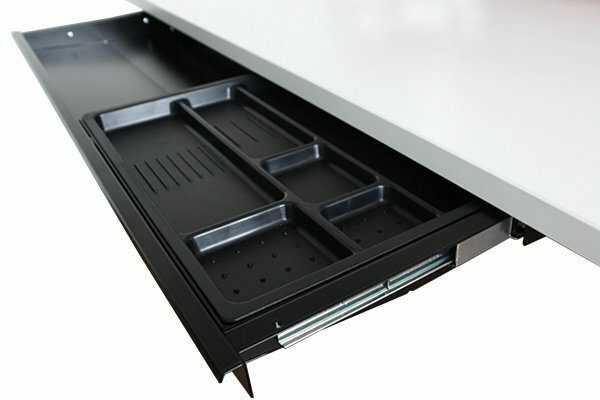 Lead time: Desktops are made-to-order so please allow 4-6 weeks for delivery.